The owner of the goat that was at the centre of a nearly unbelievable story from a year ago, says the animal is now fully recovered. 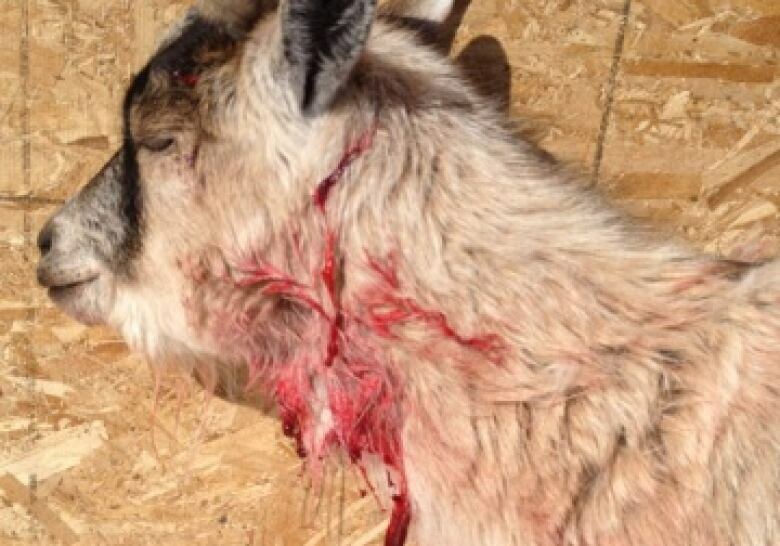 The owner of the goat that was the victim of a vicious lynx attack a year ago, says the animal is now fully recovered. 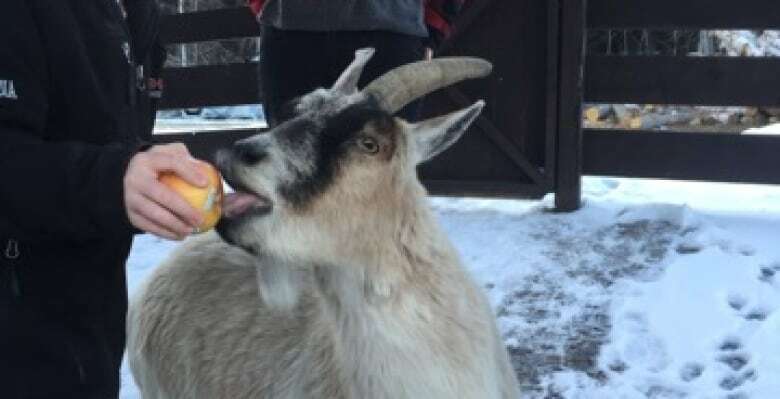 John Cox, of Dinorwic, about 325 km northeast of Thunder Bay, says his goat Stella has become something of a northwestern Ontario celebrity — and was a star attraction at the Dryden Fall Fair. He said the the pelt of the lynx that attacked and nearly killed Stella was also on display there. Cox said the story of goat vs.lynx has made the rounds so much that there are very few campfires where he isn't asked to recount it. "It's crazy. It's outlandish," said Cox of the story. "It sounds like I'm lying." Cox said Stella's experience with the wild cat even spawned a run of t-shirt's were made by a company in Dryden called Tattoo for You. Not all has been rosy for Stella since the attack, however. Cox said last summer, Stella's female "kid" was taken by wolves. In late October, another lynx was going for his goat pen, but Cox said he intervened just in time. Cox said he does wonder if Stella remembers the attack that took place inside his house. "It's funny because she will come to the door, and sometimes she will poke her head in and have a look around," he told CBC News. "I'm wondering, in a goat mind, is she still running these things through her head? This past winter has been mostly free of threats, he added. "I haven't seen any lynx or wolf tracks in the snow," he said. Overall, Cox said Stella is mostly acting how you would expect all goats to act, and getting back to the life of a domestic animal. 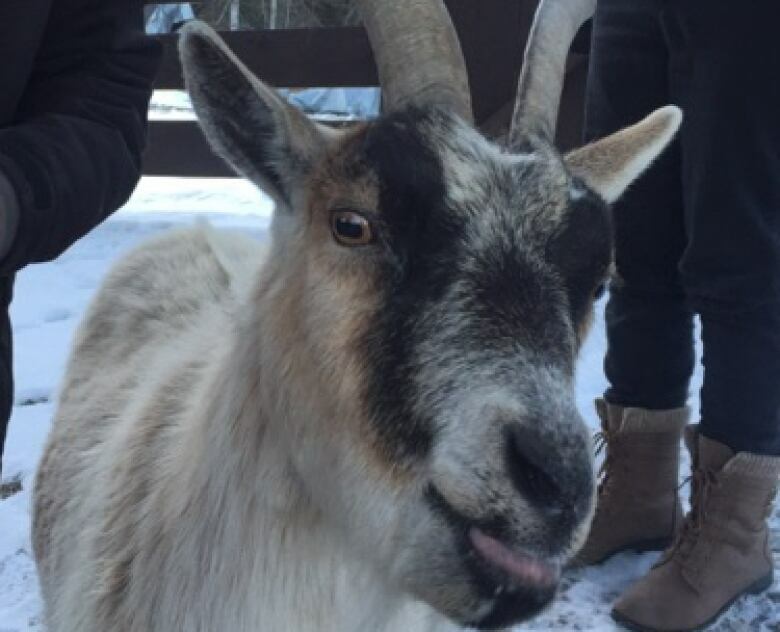 "She's gone back to normal, head-butting (other goats), chewing grass and apples and things," he said. "We've even taken her snowshoeing. I was thinking about putting some packs on her back. She follows us around like a dog ... vegetarian dog." The original CBC radio piece about Stella has been nominated for an RTDNA award. Goat vs Lynx is up for a Dave Rogers Award in small and medium radio markets in the long-feature category.